If it is awarded, the U.S. patent on Holmes' medical-grade Otto II strain will be the first to protect a cannabis plant and a first step in establishing plant-breeder rights for growers who only a few years ago were considered criminals. Oz himself has been mum about the incident. According to an article in the Washington Post on Oct. 22, 2014, "Oz's Web site has been entirely scrubbed of almost every mention of the green coffee extract, including the episode touting the product." But here's what Oz said on his show back in 2012: "You may think magic is make-believe, but this little bean has scientists saying they found a magic weight-loss cure for every body type. ... This is very exciting, and it's breaking news." Yes, breaking news, as in published by paid researchers in an obscure journal and announced on an afternoon talk show. Fortunately for Oz, he hasn't been embarrassed by other retractions concerning the dubious information he relays about weight loss, anti-aging and miracle cures. Then again, most of that stuff hasn't been published. fraudster Jan-Hendrik Schon, which was lionized by the MIT Tech. Review. And there are problems with some publications in the stem cell area. Say Hwang Woo Suk. Back in 1789, when the first patent was granted, patent terms didn’t exceed 14 years. On July 31, 1790, [Samuel Hopkins] was granted the first U.S. patent, under the new U.S. patent statute just signed into law by President Washington on April 10, 1790. The American board members took their responsibilities seriously, rejected many applications, and issued fifty-seven patents between 1790 and 1793. Deeply concerned about Europe's technological superiority, and the need to stimulate American innovation, critics pushed for new laws. The Patent Act of 1790 was replaced by the Patent Act of 1793, which made it easier to obtain patents. The point is, technological innovation unfolds at a stunning rate. Rather than allowing 20-year old patents to block innovation, we should ensure that our patent system supports and nurtures innovation. one recalls the story of Chester Carlson and xerography, which took more than 20 years to unfold into commercial relevance. One also notes that the time frame of 20 years from priority filing date arises from attempts to harmonize with the law of other nations, rather than some selection peculiar to the U.S. Scientist Resigns as Stem-Cell Creation Method Is Discredited. This December 22 article notes that Haruko Obokata resigned from RIKEN. It also states: " A few weeks later [after the retraction in July], one of the paper’s co-authors, Yoshiki Sasai, took his own life. " 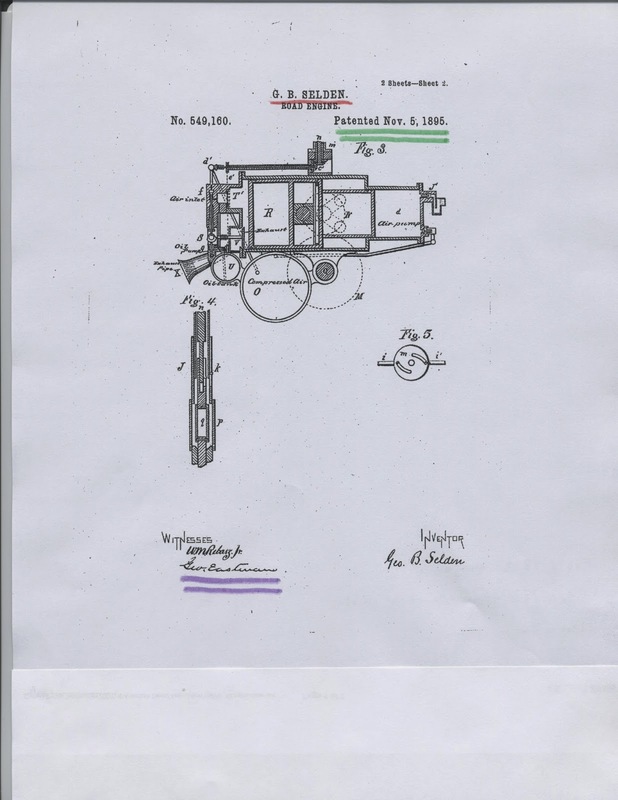 The application for the Selden patent (549,160,witnessed by George Eastman) was filed May 9, 1879, and the patent issued November 5, 1895. The application for the Edison light bulb patent (223,898) was filed Nov. 4, 1879, and the patent issued January 27, 1880. The dispute concerns a report the think tank provided to higher education officials for background that wound up used verbatim and without attribution by a system official in a presentation to an interim legislative committee in June as part of an effort to create a multimillion-dollar grant program designed to improve the state’s workforce in “STEM” industries of science, technology, engineering and math. Brookings didn’t finish its research until November. While the wording is largely identical, there are meaningful differences in the proposals. Brookings and NSHE recommend different amounts of money: Brookings puts it at $5 million, NSHE at $3.5 million. In addition the two have different ideas about who will control that money. Brookings recommends local redevelopment agencies administer the grant funds, while NSHE recommends a council of representatives from various agencies, including NSHE, manage the money. The published discussion has revolved around the use by the government official of text without attribution. The issue is one of plagiarism and academic integrity. But, if one looks at this from the point of view of copyright law, and of "work for hire," things appear a bit differently. In copyright law, in a work for hire, the "author" is the one who pays for the work, not the one who creates the work (recall the Supreme Court case CCNV). The "author" would have the right to reproduce the work. In the realm of patent law, this presents an interesting issue as to legal opinions on patents. A law firm prepares an opinion, say on a drug patent, and conveys it to client A. But then client B would like an opinion on the same drug patent. Does the law firm convey the same opinion to client B, and charge the full amount for rendering (a previously done) opinion? But is client A really the "author" (and owner) of the opinion under copyright law? A related issue arose at Southern Illinois University when an official took work done for a previous university and "re-purposed" it for a task at SIU. Although SIU determined that this self-plagiarism was not a problem [a questionable decision], the true victim was the other university. Returning to the Nevada matter, if there were an agreement as to the confidentiality of the Brookings work during some time period, the action of the Nevada official would be problematic as to that confidentiality. However, as to the ownership of the content (and "how" attribution is allocated), the "author" is the person who paid for the work for hire. Contemplate also the Supreme Court Dastar case. For material in the public domain, anyone can claim to be the author of such public material, without running afoul of federal law. Such an action would be plagiarism, but it's not against federal law. BILLINGS, Mont. (AP) - Plagiarism revelations involving U.S. Sen. Jon Walsh and his subsequent political collapse marked Montana’s top news story of 2014, according to The Associated Press’ annual poll of state editors. Walsh, in contrast to Poshard of SIU (who also copied without attribution in academic work), met a bad fate. Is this the difference between Montana and Illinois? entitled the right to exclude." Phillips v. AWH Corp., 415 F.3d 1303, 1312 (Fed. Cir. In re Hiniker Co., 150 F.3d 1362, 1369 (Fed. Cir. 1998). contact or group names and attributes.Supra. may be utilized to search groups by attribute, as claimed. On Dec. 22, Nintendo won a patent case in a federal court in Seattle. Judge Robert S. Lasnik found that Nintendo’s Wii system does not infringe two patents asserted against Nintendo by UltimatePointer, LLC. Judge Lasnik also found a number of UltimatePointer’s claims invalid, and decided, as a result of these decisions, that no trial is needed. "We are very pleased with these decisions, which confirmed Nintendo’s position from the beginning – we do not, nor have we ever, infringed these patents," said Richard Medway, Nintendo of America’s vice president and deputy general counsel. "The result in this case, once again, demonstrates that Nintendo will continue to vigorously defend its innovations against patent lawsuits, even if it must do so in multiple courts and commit significant resources to defend itself. Nintendo continues to support reform efforts to reduce the unnecessary and inefficient burden patent cases like this one place on technology companies in the United States." The inter partes re-exam 95 / 002,348 was successful. (precedential)(citing In re Oetiker, 977 F.2d 1443, 1445 (Fed. Cir. 1992)). The topic of experts arises. PTAB reviewed the ex parte re-exam 90/011,287 in light of the CAFC decision in Apple v. Motorola. The difference in standard between district court and USPTO [BRI] as to claims is discussed. Patent-ineligible subject matter found in Ex parte Moody pursuant to the Supreme Court Alice decision. reasonable (e.g., Ans. 3; no Reply Brief has been filed). Cf. In re Harris,409 F.3d 1339, 1341 (Fed. In re Huai-Hung Kao, 639 F.3d 1057, 1070 (Fed. Cir. , 227 USPQ 58, 60 (BPAI 1985). achieves unexpected results relative to the prior art range. , 919 F.2d 1575, 1578 (Fed. Cir. commensurate in scope with the claimed subject matter. 455 F.2d 1077, 1080 (CCPA 1972). Ex parte Rees is a Hewlett-Packard case about a method of constructing a machine-readable document. PTAB cites In re Fine, 837 F.2d 1071, 1074 (CAFC 1988) for the requirements for a prima facie case of obviousness. The PTO has the burden under section 103 to establish a prima facie case of obviousness. See In re Piasecki, 745 F.2d 1468, 1471-72, 223 USPQ 785, 787-88 (Fed.Cir.1984). It can satisfy this burden only by showing some objective teaching in the prior art or that knowledge generally available to one of ordinary skill in the art would lead that individual to combine the relevant teachings of the references. In re Lalu, 747 F.2d 703, 705, 223 USPQ 1257, 1258 (Fed.Cir.1984); see also Ashland Oil, Inc. v. Delta Resins & Refractories, Inc., 776 F.2d 281, 297 n. 24, 227 USPQ 657, 667 n. 24 (Fed.Cir.1985); ACS Hosp. Sys., Inc. v. Montefiore Hosp., 732 F.2d 1572, 1577, 221 USPQ 929, 933 (Fed.Cir.1984). This it has not done. The Board points to nothing in the cited references, either alone or in combination, suggesting or teaching Fine's invention. The text in the PTAB decision is a bit different. PTAB also cited In re Kahn for "articulated reasoning." However, in the Rees case PTAB affirmed the rejection for obviousness. Although there was a missing element as to claim 1, PTAB noted "Titemore [a reference] suggests it would have been obvious." PTAB criticized the Appellants for not providing reasoning beyond stating the element was missing. Thus, one needs to explicitly argue why the references don't suggest the missing element. Ex parte Knowles is a "missing element" case. PTAB found no teaching or suggestion of a missing element, and thus reversed. the combination does not teach or suggest all claim limitations. In re Harris, 409 F.3d 1339, 1341 (Fed. Cir. Assoc, Inc. v. Garlock, Inc.
produced. Final Action 4–5, 8; Ans. Roy Curtiss is a professor in the School of Life Sciences and the director of the Centers for Infectious Diseases and Vaccinology and Microbial Genetic Engineering in the Biodesign Institute. He is a member of the National Academy of Sciences and a fellow of the American Academy of Microbiology, the American Association for the Advancement of Science, the St. Louis Academy of Sciences and the Arizona Arts, Science and Technology Academy. His research uses microbial genetic manipulation to address problems of global concern, including the development of live vaccines to reduce the destruction and death caused by infectious disease agents of fish, poultry, swine, cattle and humans. His recent research emphasizes the design and construction of cyanobacterial strains to maximize production of biofuels and biofuel precursors. Curtiss has more than 360 journal articles to his credit. In 2014, he received a Lifetime Achievement Award from the American Society for Microbiology and the AZBio Pioneer Award for Lifetime Achievement by the Arizona BioIndustry Association. In cases involving allegations of plagiarism, one frequently finds a wide range of third party commentary, ranging from "what's the problem" to "off with their heads." In the past, the Glenn Poshard matter at SIU showed such response, and the current matter in Nevada involving a report by Brookings Mountain West is no different. The LAS VEGAS REVIEW-JOURNAL illustrated differing opinions on the matter held by various members of the state board of regents. It’s common knowledge that when copying large sections of language one should use quotation marks. In addition to the plagiarism accusation, the scandal has also been called intellectual property theft and a basic violation of the trust that is essential for vetting academic research. The Brookings report that was copied was an early draft that had been sent out for feedback with a label saying “do not circulate.” Brookings rolled out its final version in November. somewhat reminiscent of the scandal surrounding Paul Chu's submission to PRL on 1-2-3 superconductors. Ytterbium was indeed the element named in the manuscript that had been submitted by Chu's team, relative unknowns at the University of Houston, to Physical Review Letters, the premier journal for reporting breakthroughs in physics. But when the journal appeared on March 2, the final paper named a different element, yttrium. There was little doubt that Chu's "ytterbium" idea was stolen through leaks at PRL. Chu however had placed an incorrect idea in the PRL drafts, so the thieves got worthless chaff, but had the audacity to complain about it. But the temperature around smartphone litigation has cooled in the past year or so, reflecting a growing realization that forking over reasonably fair fees is cheaper than spending years in court. Apple and Google reached a deal to end their smartphone patent court fight in May. Rockstar, for its part, settled suits with Google and Cisco last month. In the CONTENT EXTRACTION AND TRANSMISSION LLC [CET] case, the CAFC affirmed a dismissal in the District Court of New Jersey ultimately based on ineligible subject matter under 35 USC 101. 573 U.S. __,134 S. Ct.2347, 2354(2014). additional machine — a scanner. See Alice , 134 S. Ct. at 2359. Wayne Smith is interviewed; time long ago for a change. Musicians could not give copies of music because no photocopiers in Cuba. Only 5% of Cubans connected to the internet. 500 Cubans per day seek visas to u.s.
Lesley Stahl interview with Tom Coburn. Tom will be ending his term two years early. He is friends with Barack Obama. Obama is a smart nice guy. Friendship began in 2005. Their career, not the country. Coburn's power comes from killing legislation. Grind things to a halt. Put a hold on legislation. Thousands of holds. Dr. No. Grew up in Muskogee. Family optical business. At age of 31, Coburn went to med school. First campaign in 1994. Picked a fight with Ted Stevens over bridge to nowhere. Issue of conflict of interest over practicing medicine and being a senator. Worked with Barack Obama. Now prostate cancer. How do you use each day to move things forward? Charlie Rose interviews Reese Witherspoon. Gone Girl and Wild. Ferocity of spirit. Wild: pacific Crest Trail. I miss you God, I miss you. Grew up in Nashville. Man in the Moon. Harpeth Hall. Then accepted to Stanford. In all, Uber has filed for 24 patents worldwide, according to Innography. The four earliest date back to December 2009, when the company was co-founded by Garrett Camp and Chief Executive Officer Travis Kalanick, who were named as inventors on the applications. A computer-implemented method for operating a service to arrange transport between a customer and a driver, the method being implemented by one or more processors and comprising the steps of: (a) responding to a request by a customer at a first geographic location for transport by selecting a driver at a second geographic location to transport the customer; (b) upon the customer being picked up by the driver, tracking the customer and/or driver from the first geographic location to a third geographic location; (c) determining a fee for transport of the customer from the first geographic location to the third geographic location; (d) enabling the customer to provide a feedback to affect a service reputation of the driver upon completing transport. A method for adjusting prices for services, the method being performed by one or more processors and comprising: making a determination of an amount of requesters for a service at a given time; making a determination of an amount of available service providers for providing the service at the given time; adjusting a price, relative to a default price, for using the service provided by one or more service providers based, at least in part, on the determined amount of requesters and the determined amount of available service providers; and transmitting pricing data corresponding to the adjusted price to one or more requesting devices or one or more provider devices so that the adjusted price can be displayed on at least one of the one or more requesting devices or the one or more provider devices and be indicative of an adjustment in price as compared to the default price. are invalid for lack of enablement. that are subsets of its claimed STR loci. The CAFC illustrated the difficulty the patentee faces in meeting the objective prong of Seagate. Patent reform is seen as legislative low-hanging fruit that can be resurrected to rise above our partisan squabbling. The law now known as AIA passed the House with significant votes from both Democrata and Republicans, and is hardly emblematic of "partisan squabbling." Although PCMag had reported the vote as 225-175, the actual vote was 220-175. A detailed breakdown of how each Congressman voted may be found at GovTrack.US. The Democrats voted 160-58 in favor and the Republicans voted 60-117 against. One notes that some GOP IP heavyweights voted in favor of HR 1908, including Coble and Sensenbrenner. Within New Jersey, Republican Chris Smith voted in favor of HR 1908 (?!). Carly Fiorina, a former chairman of Hewlett Packard who understands the importance of patents as well as anyone, has warned against the current push for overhauling the patent system. She notes that the proposed new rules would put patent holders at a greater disadvantage in court, and they would thus have a harder time preventing others from misappropriating their inventions and that the legislation would help big and powerful corporations at the expense of individual inventors and small companies. In early January 2005, the Hewlett-Packard board of directors discussed with Fiorina a list of issues that the board had regarding the company's performance. The board proposed a plan to shift her authority to HP division heads, which Fiorina resisted. A week after the meeting, the confidential plan was leaked to the Wall Street Journal. Less than a month later, the board brought back Tom Perkins and forced Fiorina to resign as chairman and chief executive officer of the company. The company's stock jumped on news of Fiorina's departure. Under the company's agreement with Fiorina, which was characterized as a golden parachute by some[by whom? ], she was paid slightly more than $20 million in severance. Judgments on Fiorina's tenure at HP are mixed. In 2008, Infoworld grouped her with a list of products and ideas as flops, declaring her to be the "anti-Steve Jobs" for reversing the goodwill of American engineers and for alienating existing customers. Prior to joining HP in 1999, Fiorina was at Lucent. The case -- Lucent Technologies, Inc. v. Gateway,Inc. --, concerning a patent filed by Lucent in 1994, was not exactly a model of Lucent understanding patents. [recall Democrat Harry Reid deep-sixed the last big effort]. There is no evidence that Carly Fiorina understands the importance of patents as well as anyone. An organism incapable of developing into a human being is not a human embryo and may be patented, the European Union's top court said on Thursday[18 Dec 2014], opening the door to certain stem cell patents in the European Union. The decision allows the biotech company to get patents for its stem cells made from unfertilized, or parthenogenetic, human egg cells. In related news, the company said Thursday it plans to apply by the end of the year to do a clinical trial of a Parkinson's treatment derived from its parthenogenetic cells. The trial should begin in a couple of months, said Simon Craw, the company's executive vice president of business development. The company will need to raise about $5 million for the trial, he said. International Stem Cell is developing these cells as an alternative to human embryonic stem cells, which many regard as morally wrong. Lisa Haile of DLA Piper noted that the UK and other individual governments have the legal right to make their own decision. claims are limited to such applications.” Myriad , 133 S.
deed, no method claim was even before the Supreme Court. v. Cabreja, 929 F. Supp. 2d 1302, 1322 (S.D. (3) the secret “[d]erives independent economic value” from not being generally known or ascertainable through proper means, Fla. Stat. Charles Osgood introduced the stories for December 14, 2014. The cover story was "Game On," done by John Blackstone on people treating "E-sports" as spectator sports. Second was Anthony Mason on Misty Copeland. Almanac was on Nostradamus, Dec. 14, 1503.
finding that Surjadi, as evidence by Stammer, identically discloses the apparatus of claim 36. “It is well settled that „anticipation is the epitome of obviousness.‟” In re McDaniel, 293 F.3d 1379, 1385 (Fed. Cir. 2002) (quoting In re Fracalossi, 681 F.2d 792, 794 (CCPA 1982). Accordingly, Surjadi also renders claim 36 obvious. Claims 37-69 fall with claim 36. 37 C.F.R. § 41.37(c)(1)(vii). See IPBiz post "Anticipation is the epitome of obviousness"? despite maxim that "anticipation is the epitome of obviousness"). This is precisely why our precedent has rejected reliance on the "legal homily"
that "anticipation is the epitome of obviousness." Mendenhall, 5 F.3d at 1563.
under § 102, simply because it is nonobvious under § 103. In a post titled Updated: Allen West plagiarism bombshell: Tea Party hero lifted passages from viral Internet post , Salon savages West for copying, without attribution, from a "viral internet post" relating to President Obama's silence on shootings of white police officers. The Salon post began with the text After the New York Times revealed that Montana Democratic Sen. John Walsh had plagiarized his master’s thesis for the U.S. Army War College, Allen West brought the knives out. Apart from getting facts wrong [it was not a Master's thesis, but rather a paper for a Master's degree at the War College; certain text was copied without attribution, but the whole paper was not copied], the implication by Salon that the copying was uncovered in a political context is correct. The assertion about West is also politically-motivated. So also were charges about Glenn Poshard. But the underlying "bad act" is different as between John Walsh and Adam West. Walsh was getting a degree for academic work, which was represented to be original to the granting institution. West was not. The response was different. Walsh blamed stress. West immediately corrected the problem. In the ongoing discussion of the Malcolm Gladwell copying, Gladwell's allusion to his earlier essay amounts to "who cares". In Walsh's case, the answer is --the War College does.-- Gladwell's essay alluded to the Laurence Tribe incident, but conveniently ignored the ghost writing aspect. Indeed, legal scholarship is a culture of copying. But the War College should be different, and the outcome of the Walsh matter in Carlisle suggests it is. Judge Sleet found issues with four of the five Cubist patents related to daptomycin. Corp., 150 F.3d 1354, 1361 (Fed. Cir. 1998))); see also Cohesive Techs., Inc. v.
not an element of a claim of anticipation."). limitations and therefore was inherently disclosed by the Woodworm article. experimentation." Sanofi-Synthelabo v. Apotex, Inc., 550 F.3d 1075, 1082 (Fed. Amgen Inc. v. Hoechst Marion Roussel, Inc., 314 F.3d 1313, 1355-56 (Fed. Cir. unpredictability in the specific area of science or technology. See id. at 1085.
process. See In re Antor Media Corp., 689 F.3d 1282, 1289 (Fed. Cir. 2012). Deere Co. of Kan. City, 383 U.S. 1, 6, 86 S. Ct. 684, 15 L. Ed. 2d 545 (1966)). anticipates the '967 Patent and renders it invalid, pursuant to 35 U.S.C. § 102.
on the 'legal homily' that 'anticipation is the epitome of obviousness.'" (quoting Mendenhall v. Cedarapids, Inc., 5 F.3d 1557, 1563 (Fed. Cir. 1993))). same as proof of obviousness. that the '967 and '689 Patents are obvious and therefore invalid under 35 U.S.C. or engineering skill.'" (quoting Concrete Appliances Co. v. Gomery, 269 U.S.
patented invention--is objective support for an obviousness determination. prima facie showing that the asserted claims of the purity patents are obvious. '342 Patents are invalid as obvious under § 103. The Economist discusses the "patent fiction" of increased Chinese filings. That is why it is useful to see what percentage of Chinese invention patents are also filed at foreign patent offices, which tend to be more rigorous and transparent. (When a firm goes to the trouble of filing for patents globally, it is usually a sign that it believes its invention to be genuinely valuable.) Only about 5% of patents filed by local firms in China last year were also filed abroad, whereas over a third of patents originally filed by local firms in Japan were also filed elsewhere. Almost all of the growth in China’s invention patents over the past three years has come from local firms, not from the Chinese divisions of multinationals. That suggests that the bureaucrats’ orders are responsible, rather than the emergence of a local ecosystem of innovation as seen in Silicon Valley. Intellectual-property rights do matter, but merely churning out patents does little to advance innovation. The opposer lost in this trademark appeal at the CAFC. Domaines Pinnacle, a Canadian corporation and pro- ducer of alcoholic ice apple wines, filed an intent-to-use application at the PTO, seeking to register a DOMAINE PINNACLE mark for “apple juices and apple-based non- alcoholic beverages.” Opinion at *1. Franciscan opposed the registration, alleging that Domaines Pinnacle’s mark would likely cause confusion with Franciscan’s previously registered and used marks PINNACLES for “wine” and PINNACLES RANCHES for “wines.” Id. The Board evaluated the following DuPont factors: (1) the similarity or dissimilarity of the marks in their entireties (“the first DuPont factor”); (2) the similarity or dissimilarity and nature of the goods or services as de- scribed in an application or registration or in connection with which a prior mark is in use (“the second DuPont factor”); (3) the similarity or dissimilarity of established, likely-to-continue trade channels (“the third DuPont factor”); (4) the conditions under which and the buyers to whom sales are made (“the fourth DuPont factor”); (5) the fame of the prior mark (“the fifth DuPont factor”); (6) the number and nature of similar marks in use on similar goods (“the sixth DuPont factor”); and (7) the market interface between the applicant and the owner of a prior mark (“the tenth DuPont factor”). Id. at *3–8; see also In re E.I. DuPont DeNemours & Co., 476 F.2d 1357, 1361 (CCPA 1973) (listing factors relevant to likelihood of confusion determination). See 'Comfyballs' won't fly in America: Patent office says Norwegian men's underwear trademark is too vulgar for sale in U.S.
U.S. District Judge Gregory Sleet in D. Del. [ Wilmington, Delaware], ruled Dec. 8. that claims of four patents of Cubist Pharma are invalid. Cubist is being bought by Merck & Co. (MRK) for $8.4 billion. Looking at the court filings, one might infer that Monday's outcome was foreseeable. disclaimer on U.S. Patent No. 6,194,187 (“’187 patent”). District Court Op., 2013 WL 3894156, at *9.
against the attorney in a suit for malpractice.” Link v.Wabash R.R.